Getting health information from “Dr. Google” is about to get a whole lot easier. Google announced Tuesday that fact-checked health information is coming to Google’s Knowledge Graph in the coming days. In practical terms, that means the next time you ask a question like “Is pink eye contagious?” you’ll see an instant answer at the top of your search results similar to what you see with queries for the current weather or word definitions. 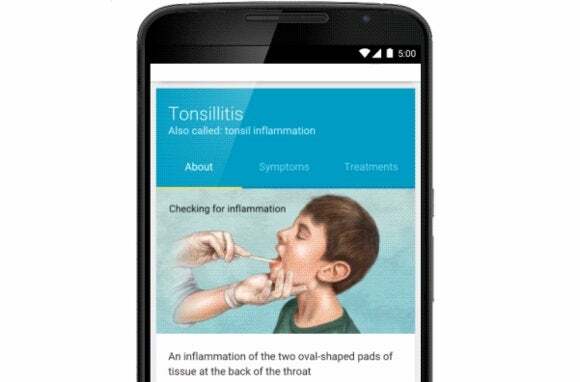 Google’s new health answers will include basic information about the disease or condition you’re searching for, how common it is, as well as licensed medical illustrations when available. The search giant says this isn’t just random data pulled off the web, either. Google says it went to great lengths to review and fact check all health data it surfaces in the Knowledge Graph. The information was compiled from doctors and “high-quality medical sources across the web,” the company said. The data was reviewed by doctors at Google and the Mayo Clinic. Google is adding fact-checked health information to search results. The story behind the story: Although Google tends to be the leader when it comes to search data, health information is actually one area where it’s way behind. Bing has been surfacing health information from “high-quality sources” like the Mayo Clinic since 2009 when Bing first debuted. These days, however, Bing appears to be getting most of its health data from Wikipedia for instant answers. 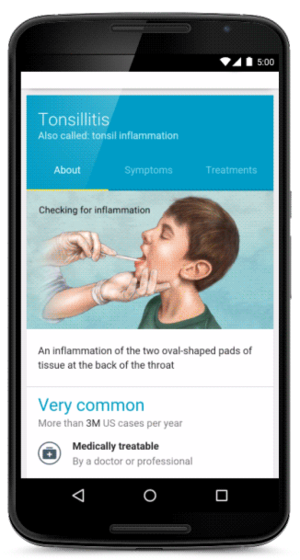 With Google now partnering with the Mayo Clinic, the search giant’s results may very well turn out to be superior—even if they are nearly six years late to the game. As you’d expect with a touchy subject like health, Google says it doesn’t want anyone taking its search results as medical advice. The company says the information it provides is for informational purposes only. If you’re sick, or think you are, you should still consult your doctor. All Google’s new results can do is help you worry about the causes of that nagging cough even faster than before.